80’s Rock Bands saw emergence of pop music, dance music and new wave when discos were just leaving the stage. Rock music became a thing among masses and Thrash Metal became largest and most commercially successful music brand. The music of 80’s has seen the increase of digital recording and nontraditional instruments throughout decade. Big stars such as Lionel Richie, Diana Ross, Paul McCartney, and Michael Jackson became legends and the world praises them even after 3 decades. I personally believe that listening to Rock music is like loving and enjoying yourself. If you haven’t heard this music then you have missed a major breakthrough in history of music in world. 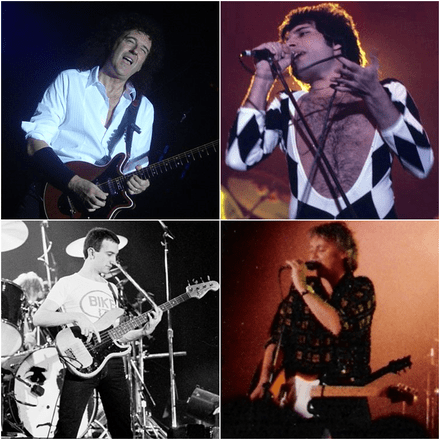 Read about the Top 10 Best 80’s Rock Bands and just try to follow the music. With four full-length studio albums the band delivered very good quality tunes during 80’s. 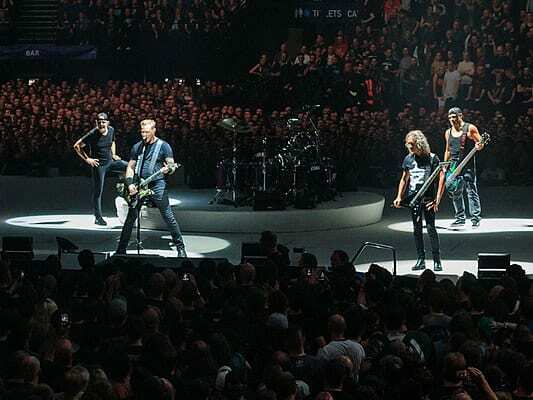 Even though the debut album- ‘Kill ‘Em All’ became strongest album but ‘Ride the Lightening’ proved to be Metallica’s thunderous epics. Music world was never the same again. A brooding and sinister tone of aggressive power chords became an unbelievable stuff with both music and theme engraved in the music. Fade to Black, Escape, Master of puppets, Blackened and many more became infectious to listen to. The rhythm of these music holds an unshakable power which is thoughtful and permanent rock. An American rock band which has released a series of hit songs from 1978 to 1987. Its album ‘Escape’ became no 1 on Billboard 200 and gave audience one of the most popular song- ‘Open Arms’. They were ahead of their time in terms of professionalism and marketing. The music created was guitar-oriented hard rock with a blend of vocal-oriented pop. Starting with mixing of rock and progressive fusion this band paved their path to commercial music slowly and climbed to super stardom. ‘Don’t stop believin’ does not only tops best Journey song, it also stands on 13th spot on the Top 100 Classic Rock song ever. Inspirational message in the songs appealed to hard rock fans and vocal pop. ‘Faithfully’ from album ‘Frontiers’, ‘Any way you want it’ from ‘Departure’ and ‘Open Arms’ from ‘Escape’ were just the glimpse of their music which stood apart from their peers. 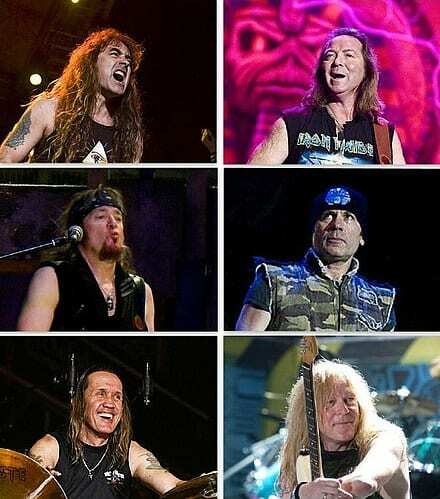 Iron maiden was the most respected heavy metal bands which was commercially as well as critically hit across three decades. The group made complex hard rock sound with unique rhythms and with precise musicianship. Lead vocalist Bruce Dickinson stunning range and soaring music distinguished the band from others. Visceral rock and roll approach became more prominent in 80’s. It was one of the most successful heavy metal band in history, it released series of platinum and gold albums in US and UK, including- The number of the Beast, Piece of mind, Somewhere in Time and Powerslave. An Irish rock band which brought tears to many eyes with its song ‘Sunday Bloody Sunday’, still gives you same emotions. 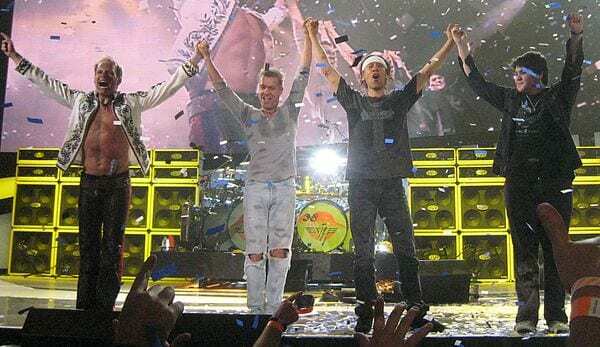 The greatest rock band which has sold 140 million albums consists of Bono, The Edge, Larry Mullen Jr. and Adam Clayton. 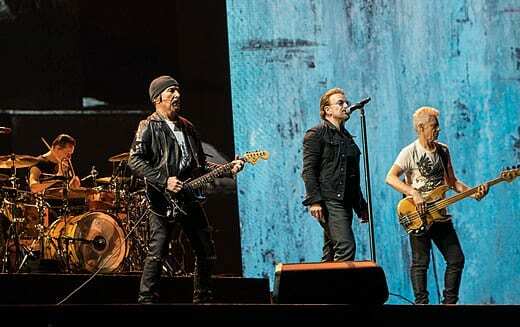 Over three decades U2 have outpaced its original Irish post-Punk group to being a social messiahs. Fascinated with American culture this band have explored its techno-trash and then settled into some identifiable sounds. The song ‘With or Without you’ turned me into their biggest fan, which I must tell you rarely happens. Love the timeless songs of U2 with some awesome soundtracks such as-One, Beautiful Day, I still haven’t found what I’m looking for, Sunday bloody Sunday and Bad. 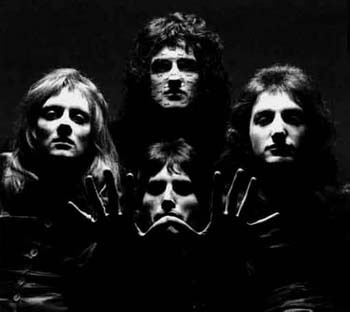 This is simply the greatest and best English rock band of all times. With their fourth album ‘Hysteria’, they ruled the late 80’s with super catchy and highly processed songs. ‘Bringin’ on the Heartbreak’ was one of the first rock video on MTV in 1982. Their album ‘Pyromania’ with song ‘Photograph’, turned the band into a household name. 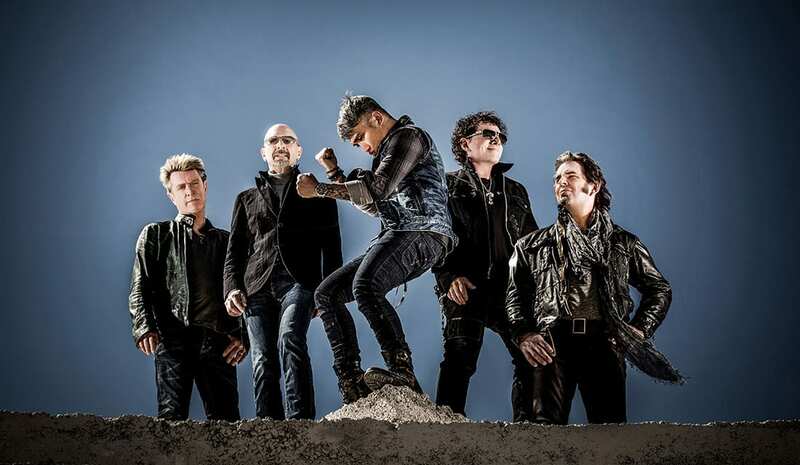 The fusion of pop hooks and hard rock crunch into the song features into their songs. Certified as Platinum for sales, it spawned hit singles such as ‘Pour some sugar on me’, ‘Hysteria’, ‘Love Bites’, ‘Rocket’ and ‘Armageddon It’. Van Halen built a lasting legacy through their productive work in 80’s with classic rock and arena rock. Thumping rhythm section and imaginative guitar riffing turned the spotlights to Van Halen in 80’s. Their song ‘Jump’ became number one on Billboard hot 100 and ‘1984’ was their most successful album. Listen to the songs which depicted band’s unique distinctive themes, which included ‘And the Cradle will Rock’, ‘Everybody Wants Some’, ‘Unchained’ and ‘Secrets’. Eddie Van Halen’s diversified work as electrifying solos, intricate and gentle work stands highlighted through all the albums. Bone-crunching hard rock band from Australia with charismatic Bon Scott made a powerful ‘Highway to Hell’ in 80’s. When Brain Johnson became lead singer after the death of Bon Scott, he recorded the biggest album of the band –‘Back in Black’, it made the band commercially successful. 80’s saw seamless transition to Brain Johnson age from Bon Scott era. 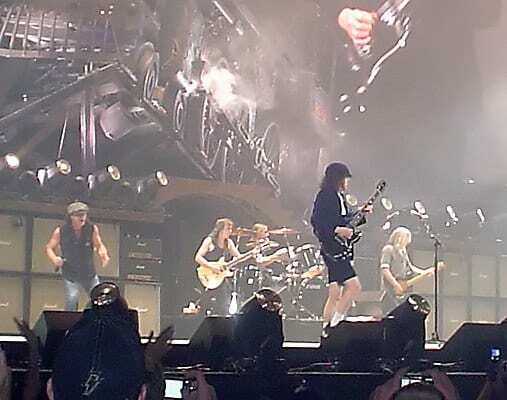 AC/DC are considered as pioneers of heavy metal and referred to as blues rock. AC/DC is the world’s bestselling bands of all times and they sold more than 200 million records worldwide. Some songs to look for are- ‘Back in Black’, ‘Thunderstruck’, ‘You shook me all night long’, ‘Hells Bells’ and ‘T.N.T’. Bon Jovi have been the most successful record-selling and arena-filling rock band in their generation. 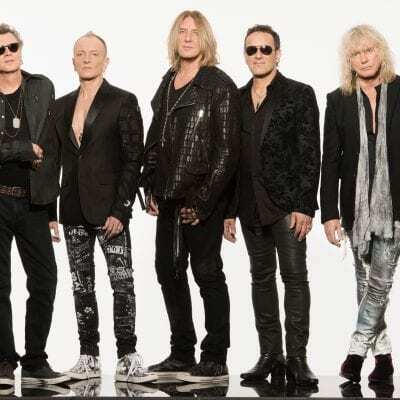 The glam and pop metal band have kept on giving hit songs even when most of the bands of same genre faded away in oblivion. One of the rock’s savviest self- marketers also had the great voice. Bon Jovi had their own working class anthems which separated them from other 80’s pop metal bands. Bon Jovi used different styles in music which made them one the world’s best-selling bands of all time which released 12 studio albums with two compilations and two live albums. 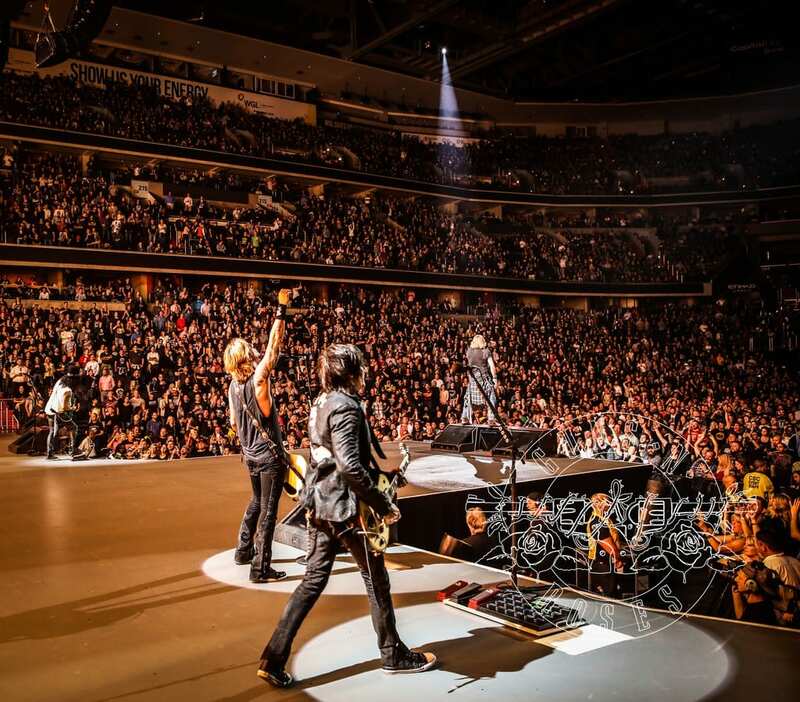 Explore the music of Bon Jovi in the songs such as ‘Wanted dead or alive’, ‘Runaway’, ‘You give love a bad name’, ‘In and out of love’, and ‘I’ll be there for you’. For the better part of 80’s -rock music became stagnate, bloated and full of itself while still reeling from disco culture. This was the time when Guns N’ Roses came and changed all this with instant hits. ‘Appetite for Destruction’ became a momentous moment in rock history and seized back the position of rock music from dolled-up posers and ultimately enjoyed a 147 week run on Billboard Hot 100. They were made of the best vocalist, two of the greatest guitarist and bass player with great songs such as ‘Welcome to the Jungle’, ‘Sweet Child o’ Mine’, ‘November rain’, ‘Paradise city’ and many more of such artistic songs. This venerable British quartet generated success during 80’s with five full length albums in the decade. It featured electric music with genres as roots rock, funky dance pop, and arena rock power ballads. The band always experimented with its music which was seen in the rockabilly acoustic strains of the song ‘Crazy little thing called love’, hence it made it a worldwide hit. The band has released 18 number one albums with 18 singles and 10 DVD’s which were sold in the range of 150 million to 300 million records. The band was inducted into Rock and Roll Hall of Fame in 2001. If you are still thinking about this great band’s credibility then just start listening from ‘Bohemian Rhapsody’, ‘Don’t stop me now’, ‘The show must go on’, ‘We will rock you’, ‘We are the Champions’ and then simply become a fan.